Photon Arts and Technics now have access to Link Slots. By attaching specific Link Chips, you’ll have the option of activating Link Skills and Rush Arts! 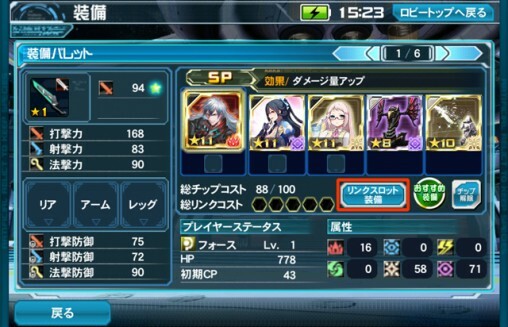 To get started, head to your equipment screen and press the リンクスロット装備 button as highlighted in red in the screenshot above. Rush Arts need to be linked to PA/Technic chips of the same weapon type. Link Skills need to be linked to PA/Technic chips of the same attack type. 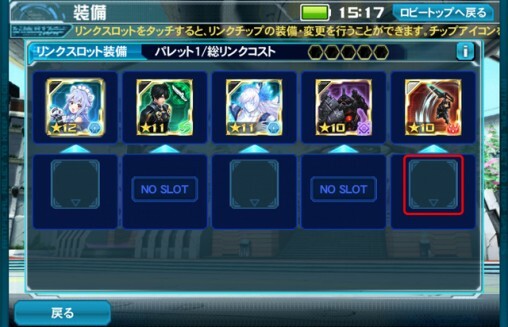 Rush Arts are available to activate when the gauge is full. Link Skills provide a secondary effect under certain conditions. These skills will activate when the Linked Chip’s Attack Type matches the main chip. Touch an empty slot beneath a PA/Technic chip to attach the Link Chip. This [Link Chip Selection Screen] will populate with PA or Technic chips that are available for attachment to a Link Slot. 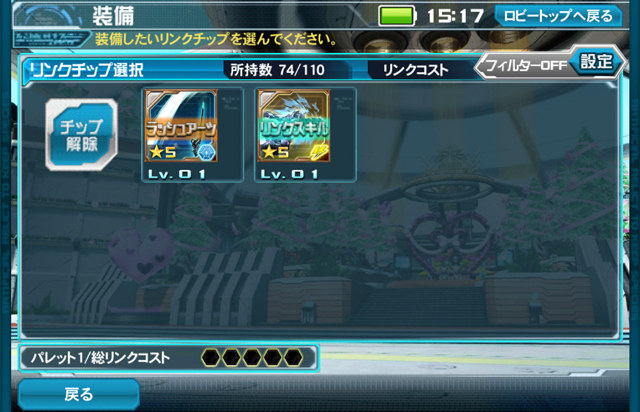 Take note that chips with Link Skills will flash teal リンクスキル text. 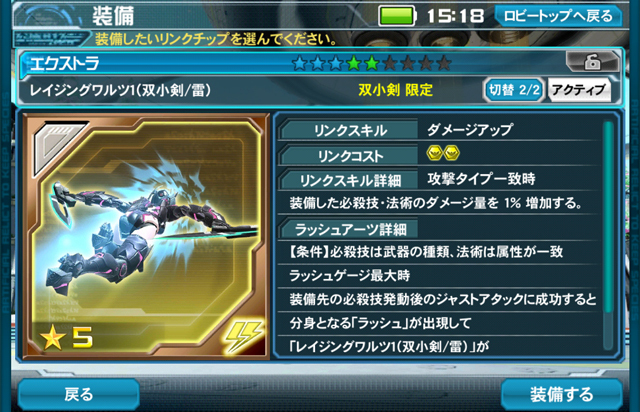 On the other hand, chips that can activate Rush Arts will flash ラッシュアーツ text in brown. The Link Chip is the same as the Main Chip. The Link Chip is of higher rarity than the Main Chip. You are currently over the Link Cost limit. 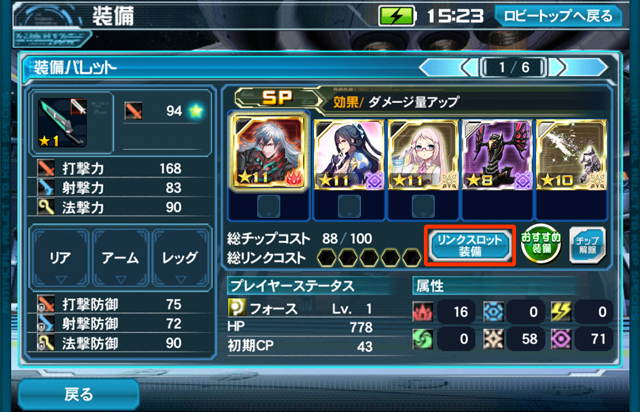 The Link Skill system works slightly different than the one for Weaponoid and Character chips. The details screen will provide both the information on what bonuses are applied and what conditions are needed to activate a Rush Art. Luckily for you, Rush Arts are mainly activated the same way for now. We’ll talk more about Rush Arts activation at the bottom of this post. Damage Up, Supplemental Damage, etc. The number of gold slots this chip takes up. 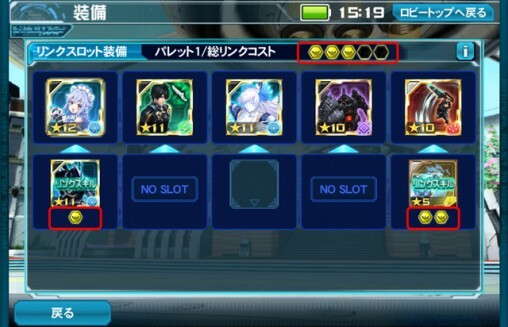 Explains the link skill effect that activates if the attack type matches. Explains that the Rush Arts gauge needs to be maxed in order to activate the Rush Art. Performing a Just Attack after activating the main chip’s PA will materialize an Apparition that attacks with you. Press the [装備する] button on the bottom right to equip this link chip. Link Skills activate when the Link Chip matches the attack type of the main chip. The box highlighted in red is just informing you of this detail. Each Link Chip is has a リンクコスト (Link Cost) which limits the amount of chips you can equip on the same weapon palette. 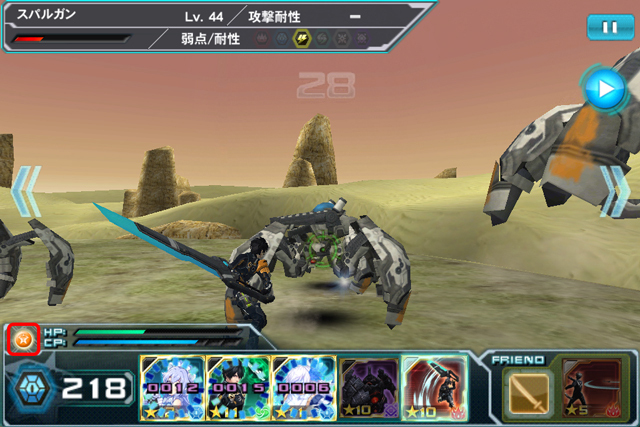 Some chips will contain yellow emblems which take up a number of slots. Chips that contain gray emblems are free in this regard and take up no slots. Now that’s all out of the way, we can focus on the main feature! Rush Arts are a new supplemental action system that activates Photon Arts and Technics from the Link Chip. Linked chips that qualify for Rush arts will flash ラッシュアーツ in orange. 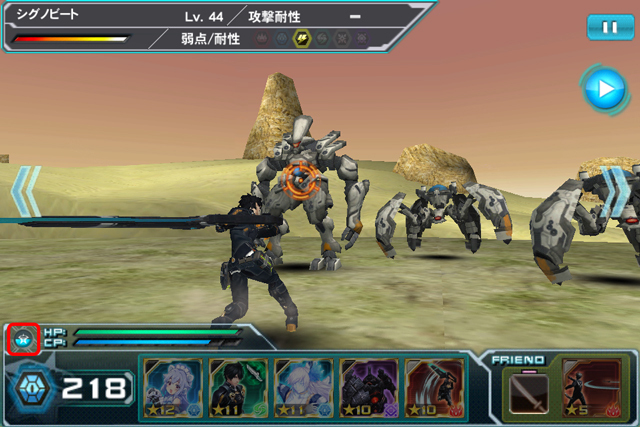 PA Linked Chips must match the weapon type of the Main PA chip. Tech Linked Chips must match the element of the Main Technic chip. The Rush Arts gauge, positioned to the left of your HP and CP bar, will steadily fill as you perform certain actions during battle. Once the gauge is maxed out,, you must first activate the PA/Technic chip that is attached with a Link Chip. 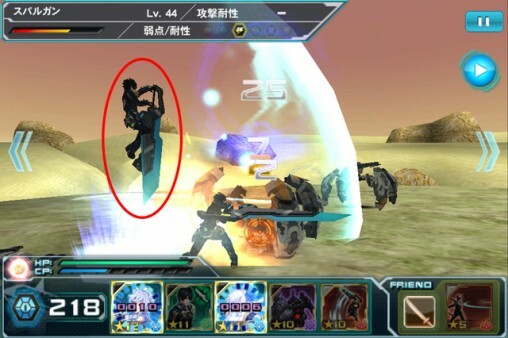 After you perform the PA, you must successfully pull off a Just Attack to trigger the Rush Art. 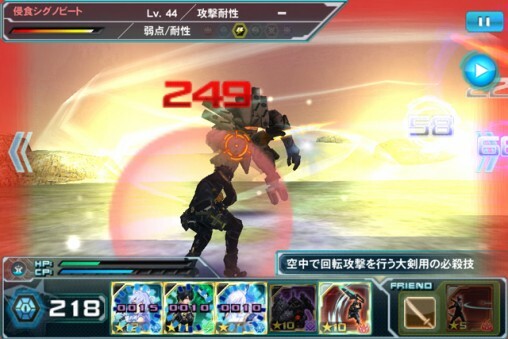 This will create an [Apparition] of the player, who will perform photon arts as you attack. The Rush Arts gauge will turn orange when it’s maxed out. From this point on, it will now be possible to activate a Rush Art. Once you’re ready, tap the PA chip that is attached to a Link Chip. 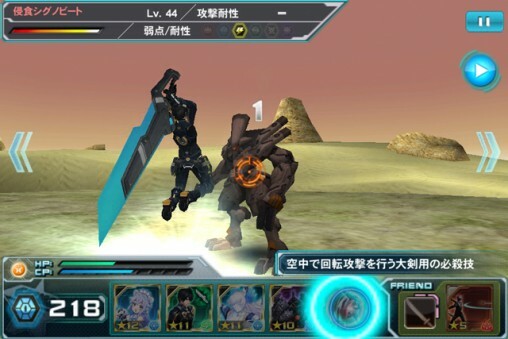 After the PA is released, perform a Just Attack to activate the Rush Art. This will create an Apparition that attacks with the linked Photon Art. Damage values from Rush Arts will display in an orange color. The higher the ability level on the Link Chip, the more powerful the attacks are. Only certain Photon Art chips are embedded with a Rush Art. More chips will be added in the future.